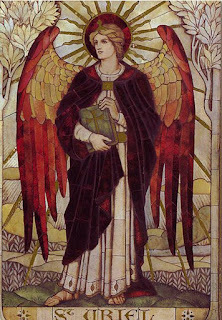 You may have heard of cords, or that we can call on Archangel Michael to help us cut them. Cutting energy cords enables us to let go of attachments that hold us back, whether it is to a person, to a situation or even to something we are scared of. This is one way of looking at cords. In the coming weeks we'll go through a meditation that can be used to release baggage that holds us back. Today I would like to discuss relationship cords and how we can heal them to improve our connection with others. But first, what is a cord? Cords are currents of energy that connect us to others. When we meet someone new, our Heart Chakra opens up and we form a bond that allows for the passage of friendly vibes. This makes it easier for us to understand each other without having to say as much. We're on the same page. These cords are thin to begin with and if you never see the person again, it will fade away. The more you interact, the stronger it becomes and the more energy it holds. More history. Relationship cords can lie dormant for days, weeks or years until we think of the person on the other side. Energy follows thought, and the cord activates. We ping them energetically. This is why friends or family might be thinking about each other before one of them picks up the phone to call. It's like messaging on a telepathic or energetic level. We have cords (or personal bonds) with our friends, family and colleagues. Anyone you interact with on a regular basis. This is natural. People who aren’t able to connect this way find it harder form deep relationships. Most cords are positive to begin with, but they can be affected by the tension that comes with everyday human interactions: including misunderstandings, friction, tension and jealousy. By clearing and healing a cord we aim to clear the energy in the relationship so that the people involved can communicate without bringing all of their history to the table. It helps to turn a leaf with old friends. Sometimes, we need to look at the dynamic between two people, for example, is it a co-dependent relationship? In that case, the cord and the energy between them will feel like a crutch. They are using the relationship to prop each other up, to feel safe. The energy in the cord is the result of their dynamic and rather than cut the cord, what we want to do is allow them to heal themselves. Find their own strength and slowly start to change their behaviour. You can also heal the cord, but the foundation needs to change first. This can happen gradually. At the School of Intuition and Healing, we learned to pay attention to how cords look and feel. Whether you’re looking at yourself or at a client, what you see will give you an idea of the status of the relationship. Let your imagination and your intuitions bring it to life, for example: what color is it? Is it made of rope, steal, light, or barbed wire? You do see some funny cords! Does the energy flow in both directions, or is one person doing all of the giving? And in that case, does the giver have trouble receiving from others? Or did the meet a strong person who has a natural tendency to take. Its funny how people gravitate each other, teaching us lessons or accommodating for our quirks. Whenever we see an unhealthy or unbalanced cord, both parties are equally responsible. Though usually, it takes one person to realize their mistake and change their behavior so that the relationship can become balanced again. In some cases, that might lead to the end of the relationship, but more often it’s about both people evolving and becoming stable and well rounded individuals. Cut cords to people, situations and beliefs/fears that hold us back. In the next few weeks I'll take you through a special cord cutting meditation that can help you release attachments (see here for details). Clear a cord to put the past behind us, and stop fighting over things that may have happened. Turn a new leaf. This can be really helpful, especially in passionate, intense or long standing relationships. Tune in clairvoyantly to get a read on the relationship. Is the energy balanced, do both people share and carry equal weight, etc? In these cases we would use this information to adjust our behaviour. Next week we’ll talk about cords and how to cut or heal them through meditation. You can also work with a qualified Healer or a Reiki Master to go a little bit deeper. The very first energy healing class I ever took was on cords and how to cut them. We started with a self-healing meditation and then went on to group work, where we would sense each other’s cords, discuss them and cut them if necessary. It's amazing how how vibrant the energy can be! 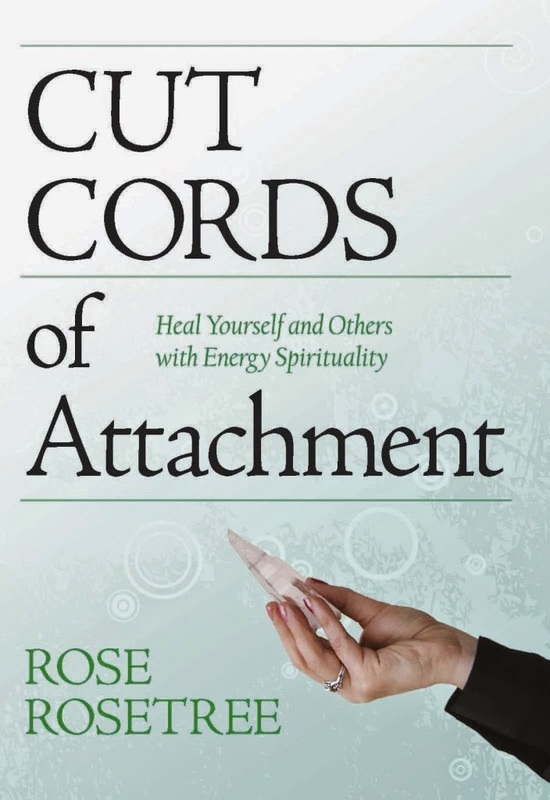 This book by Rose Rosetree was recommended by a fellow healer. Follow this link for a Cord Healing Meditation. Thankyou for this. Very interesting and useful reading. I will read on and see if I can heal the relationship between me and my son's girlfriend/partner. Hello! 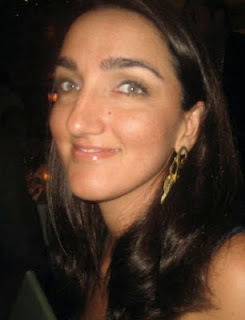 Glad to see you found my post on Energy Medicine Exchange. Let me know if you have any questions about the meditation. I'm also getting the intuitive message that your relationship with her will be much improved if you stop reading between the lines. For example, next time she says something, don't let your mind tell you there's a hidden meaning (or an ulterior motive). Let things slide and the tension will dissipate.